Discover the diverse cultures and traditions of Bali beyond the beaches on this incredible journey through the island. Begin on the peaceful north-east coast near Candidasa, an area of stunning scenery and traditional villages, before moving inland to the cultural hub of Ubud. 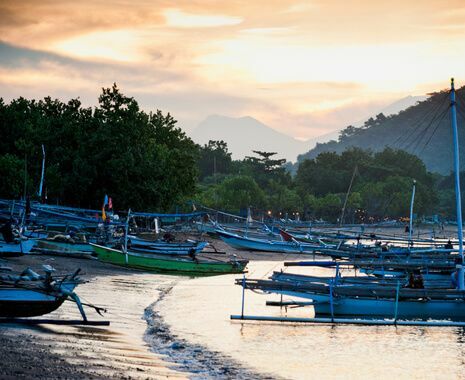 Continue to the black-sand beaches of the north coast at Lovina, then on to the wild north-west coast to visit the rugged Bali Barat National Park.